Rising high school seniors, work on your college applications over the summer so you can devote your full attention to your schoolwork in the fall. Like that paper you’ve got to write on James K. Polk. If you’re a rising senior (or the parent of a rising senior), we encourage you not to procrastinate. Procrastination will not be your enemy now, but it will be your enemy in the fall. As Zac Brown Band sings in their beautiful country twang, “It’s funny how time can make you realize you’re running out of it.” Well said, ZBB. Well said. The time to work on those cumbersome college applications — including the many college admissions essays — is not in September or October. And it’s not in the days leading up to the Early Decision / Early Action deadline (hi to the folks who first come to us on Halloween eve). It’s during the summer months. When school’s out for summer (we seem to have some music in our heads), it’s high time for rising high school seniors to get working on those applications. Sometimes parents ask us if we help with the college essay. We always correct them. College essay? You mean the dozens and dozens of college essays for all of the many universities to which you want to complete applications for? These parents make it seem like there is one college essay. And indeed there is one Personal Statement for the Common Application. But highly selective colleges have supplements and some of these schools (Stanford, Brown, Columbia, University of Chicago, and others) have tons and tons of admissions essays. Each of these essays matters a great deal. Each must be powerful and compelling. Each must convey who the student is and what the student brings to the university. So we urge rising seniors (as well as their parents) to stop this procrastination business in its tracks. 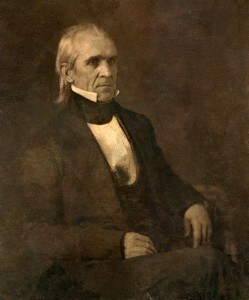 You don’t want to be working on a Why College essay while studying for a Spanish exam and writing a history paper on the presidency of James K. Polk. “He was James K. Polk, Napoleon of the Stump. Austere, severe, he held few people dear…” Ok, now we’ve got They Might Be Giants in our heads. Clearly.